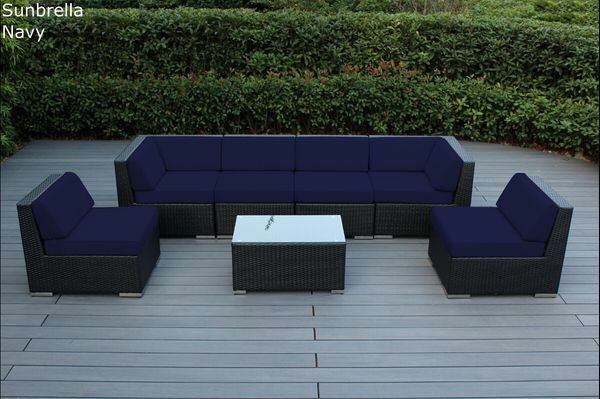 LIMITED QTY - NOW $1,349 AFTER EXTRA 10% OFF WITH CODE "SPRING10"
Classic blues are popular and Sunbrella Pacific Blue and Sunbrella Navy are available only in limited quantity! 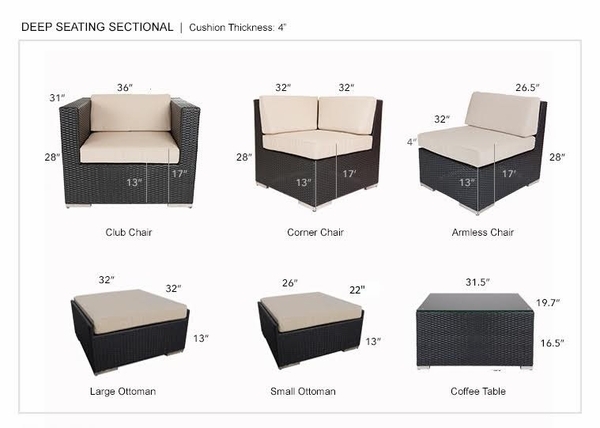 Enjoy contemporary outdoor space with timless colors with Ohana 7 Piece Sectional Seating Set. 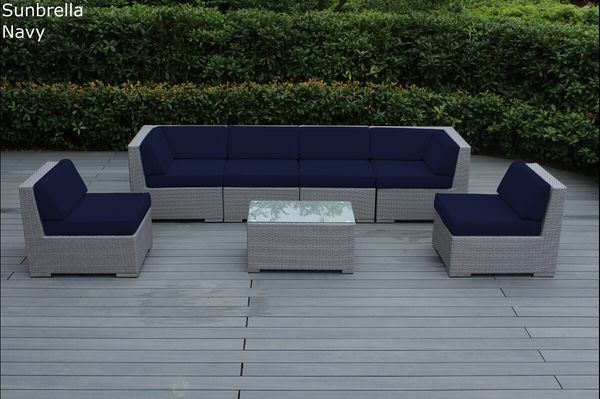 Constructed from a lightweight aluminum frame and hand woven premium PE resin wicker resin, it is designed to withstand the elements. 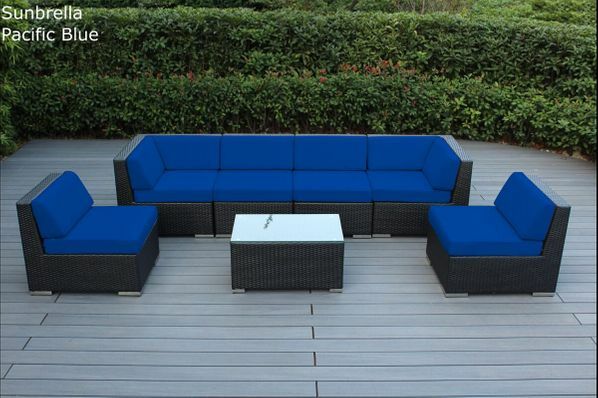 Industry leading outdoor performance Sunbrella fabric is water, UV and fade resistant and zippered for easy cleaning.